← What Does Smoking Ban on Social Media Mean? Turkey wants to get out of the Council of Europe’s (CoE) monitoring process as soon as possible, according to Hürriyet Daily News representative in Ankara Serkan Demirtaş. It is not rocket science to guess what it takes to get out. Whatever it took the Parliamentary Assembly of the CoE to close the monitoring procedure in 2004 is also valid after 15 years. 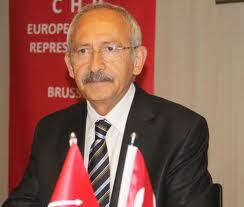 In 2004, European parliamentarians were convinced that Turkey was going through a genuine change of mentality in terms of democratic standards.